Thu., Nov. 1, 2018, 4 a.m.
After 58 years, National Furniture is closing its showroom later this month. And while owner Mark Barnes said he underestimated what the growth of internet sales in the furniture industry would mean for the business, he doesn’t regret his years spent in the family enterprise. National Furniture, at 213 E. Ermina Ave. in Spokane, opened in 1960 a few blocks away at Division Street and Sharp Avenue. 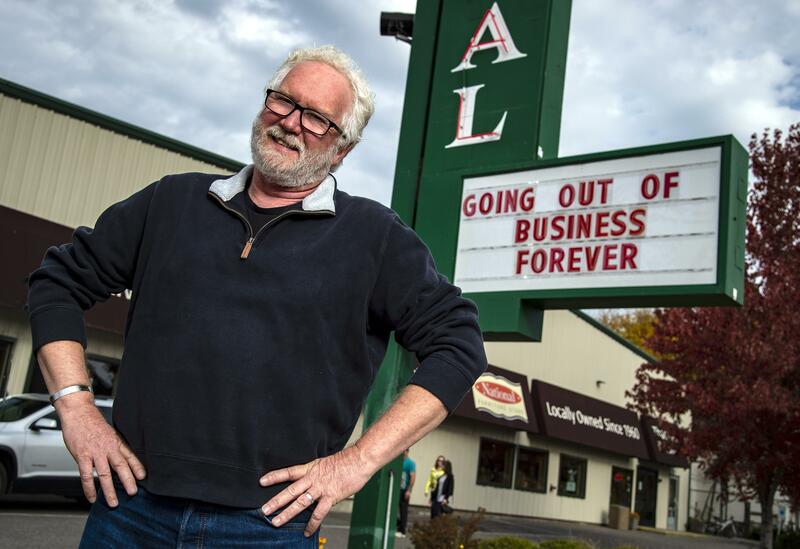 The business, known through the years for its “No Baloney” marketing pitch, is scheduled to close Nov. 12. The original showroom for the business opened by Barnes’ father, Arnold Barnes, and his partner, Leo St. Marie, was a 20,000-square-foot space. Barnes said even that was small for a furniture showroom back in those days. National Furniture also had a Lewiston location for a period of time in the ’70s. The current showroom, which the company moved into 2 1/2 years ago, is only 10,000 square feet. With smaller size also came a smaller volume of products, which Barnes said is now about half what they had in stock during National Furniture’s heyday from 1998 to 2005. During those years, he said, he had two delivery crews out all day, five days a week, and sales were averaging $2.5 million annually. Back then, he also had 13 employees, compared to the present five. The attitude of consumers changed after the recession, he said, and with the advancement of online sales, 20 percent of his primary sales, upholstery – i.e. chairs, sofas – has gone online. Barnes said with 80 percent of revenue supporting overhead costs, missing that 20 percent was a big hit. “I didn’t really think the internet would get me,” he said. “I thought they would want to still touch and feel it. … But I was wrong. But Wayfair, an online home goods store, had the same chairs at a lower cost and with free shipping, he said. Twenty years ago, Barnes said, there were about 20 big locally owned furniture stores in the area, but now those are getting replaced by chains. It is those local business partners that Barnes said he will miss once he closes. “That’s what I’ll miss the most is the camaraderie of the industry. We are all friends in the area,” he said. After 42 years – he even has the timecard from 1976 to prove it – Barnes is ready to try something different. He has been working for National Furniture since high school, and despite a few attempts to “escape the business,” he took it over full time in 1988 following his father’s death at age 84. He won’t be putting his feet up anytime soon, however. “I can’t sit still,” he said. Barnes and his wife have been flipping houses for more than 30 years and have other real estate investments in the area. “That you can’t buy on the internet,” he said. And he may even consider a return to sales someday. “I like to sell, and with all the administrative side (of owning a company) you don’t get to do the fun stuff anymore,” he said. Published: Nov. 1, 2018, 4 a.m.